Looking for a healthy Easter treat for your little Monkey? 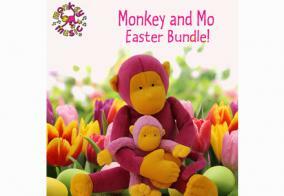 Our beautiful soft toy Monkey and Mo are available from our online shop as an Easter Bundle at £24.00 (Little Monkey Club members receive 10% discount). Hurry, as this offer is for a limited period only!